So a couple of days ago, I posted the news about the George Lucas releasing his Star Wars films on bluray this year. See that story HERE!!! Now I have all sorts of goodies for you in the forms of , trailers, footage from the CES announcement, and some info about the releases. I hope you ENJOY!! 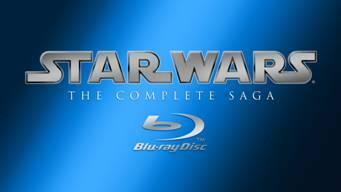 First up is the trailer for the Star Wars Saga on Bluray. This just gets me all sorts of giddy. Finally Star Wars in HI-DEF!!! Next up I have some of the footage of the STAR WARS announcement from the CES 2011 SHOW. Also if you want to have some fun with that famous STAR WARS crawl sequence, head over HERE TO CREATE YOUR OWN!!! Below are the three different Star Wars sets you can pre-order from Amazon by clicking on them. This entry was posted on Monday, January 10th, 2011 at 1:33 pm	and is filed under Film, News. You can follow any responses to this entry through the RSS 2.0 feed. You can skip to the end and leave a response. Pinging is currently not allowed. « Geek Deals of the Day Are Two Good!!! !